Did you know that there is a men’s mentoring program that is parallel to Titus2? It’s called Radical Mentoring and you can check it out here. Today on the Titus2 blog we are sharing a recent post from the Radical Mentoring blog, written by their founder, Regi Campbell. I think you will be encouraged! When we were invited to a mentoring event at Dunwoody United Methodist Church recently, an elephant herd stole the show! Under the leadership of Pat Morgan, a lay leader at DUMC, their 7 male mentors have now mentored 115 men with more groups underway. But their women’s Titus2 program has also been thriving. In fact, when their mentor got up to say a few words, her girls dashed to the front, locked arms and announced themselves as the “elephant herd.” They got the name from this Facebook post by Jen Hatmaker . . .
A few months ago, my girl Nichole Nordeman sent me a picture and a story. It’s about female elephants. You know, as all good stories begin. See, in the wild, when a mama elephant is giving birth, all the other female elephants in the herd back around her in formation. They close ranks so that the delivering mama cannot even be seen in the middle. They stomp and kick up dirt and soil to throw attackers off the scent and basically act like a pack of badasses. This is what we do, girls. When our sisters are vulnerable, when they are giving birth to new life, new ideas, new ministries, new spaces, when they are under attack, when they need their people to surround them so they can create, deliver, heal, recover . . . we get in formation. We close ranks and literally have each others’ backs. You want to mess with our sis? Come through us first. Good luck. I have this picture saved in three different places and in a frame. (I also have an elephant ring given to me and my girlfriends from Tara Porter Livesay– it tells me: never alone.) Maybe you need this too. If you are closing ranks around a vulnerable sister, or if your girls have you surrounded while you are tender, this is how we do it. Regi finished out his post charging men to learn a thing or two from us ladies – challenging them to run towards each other in times of need, creating a ‘band of brothers’ during the mentoring season. My challenge to us lady mentors is – Are you creating this type of bonded community within your group? 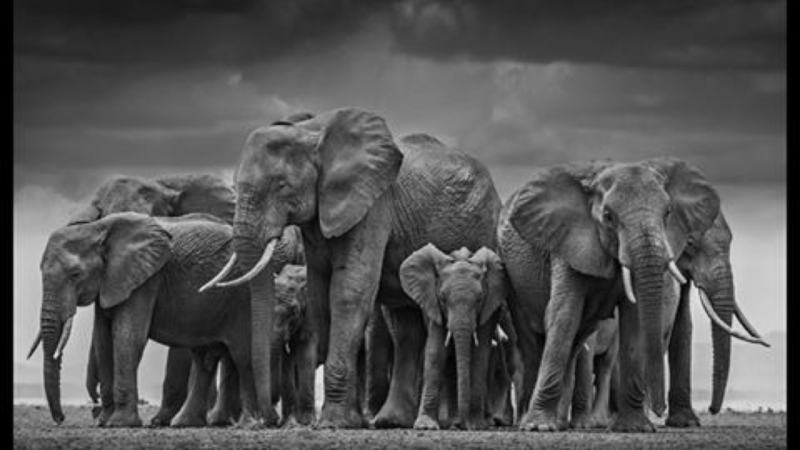 And if not, how can you bring your ladies together, united, standing in the gap for each other when they need it most…creating your own “Elephant Herd”?